Description: Solid Oak Pendants let you add a lot of style to your jewelry, craft and scrapbook projects. Straight Bar Silver/Crystal- This elegantly simple pendant sparkles with its vertical line of real crystals. 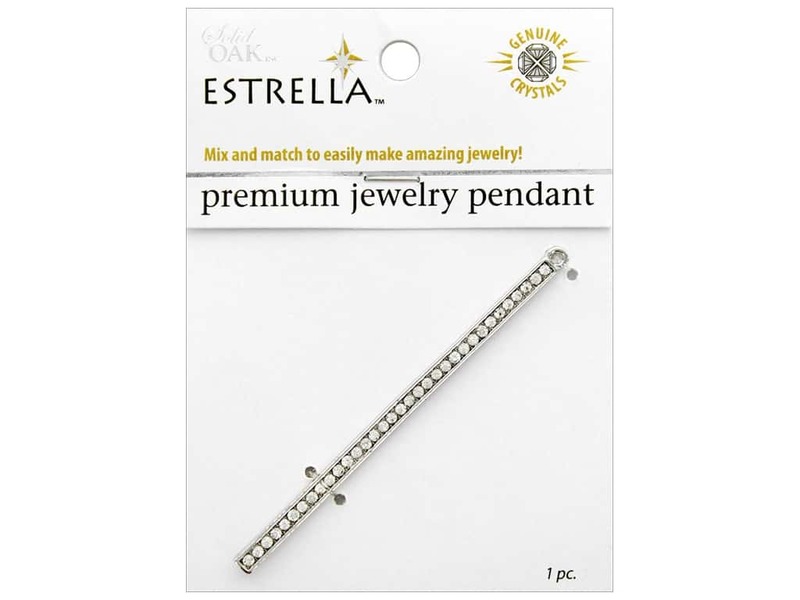 A connecting loop at the top makes it ready to attach easily to the Estrella necklace chain of your choice. Measures approximately 2.88 in.